Whoa it's been almost a year since I last posted here. I hope y'all follow me on Instagram where I am a bit more active. Anyways, recently I received these gorgeous pair of falsies from Esqido and I thought just an Instagram post won't suffice. So here I am with a full review with some shots which I hope do this beauty justice. 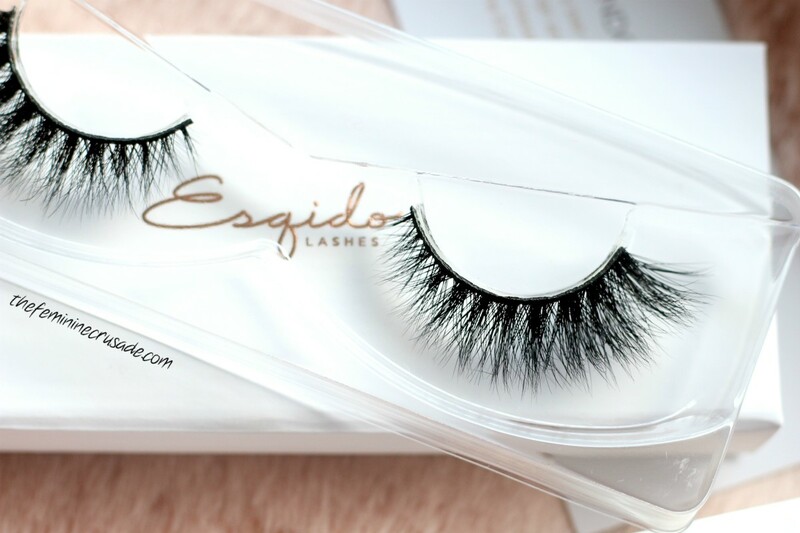 For those who might not know, Esqido mink lashes are one of the most luxurious falsies and are 100% handmade. Celestial is from their newest Noire Collection which is a range of clustered, multi-curl false eyelashes. The packaging is pretty sleek and impressive. I am that girl who can't take her eyes off anything rose gold so bonus points for that. And this particular design is exactly what I want from my pair of falsies. 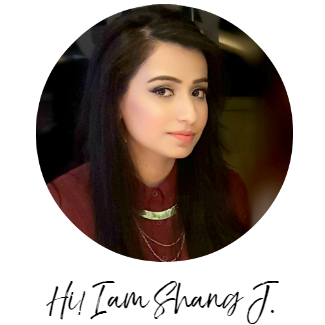 These are super voluminous, with a good amount of length that flares out beautifully at the ends to give that exotic dolly, cat eyed appearance. I love their wispy multi-curls. Surprisingly, these are quite light-weight considering the volume they provide. Personally, I don't think this pair is natural-looking at all. I find it best suited for special occasions, parties and weddings. But ohmygod Celestial makes my eyes look so luscious and glamorous! 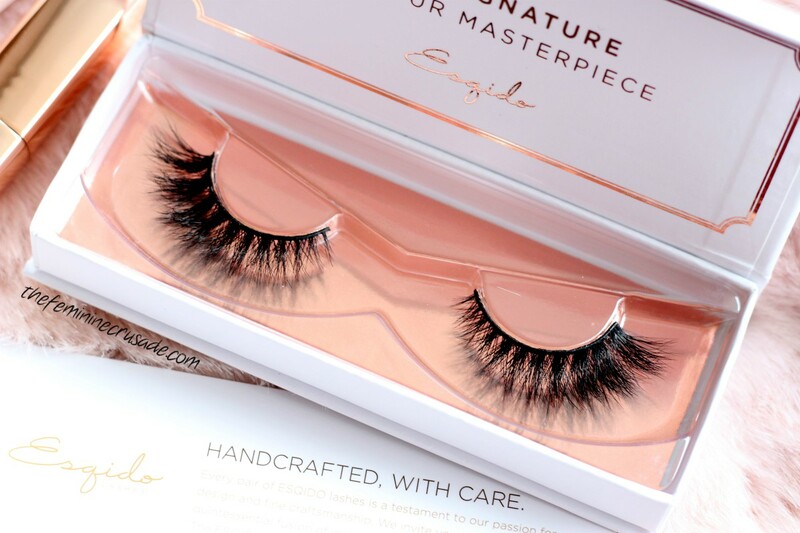 Without any exaggeration, I have become obsessed with the craftmanship of Esqido eyelashes. From the packaging to the quality, everything is spot on! And of course, false eyelashes are of no use without the perfect glue. 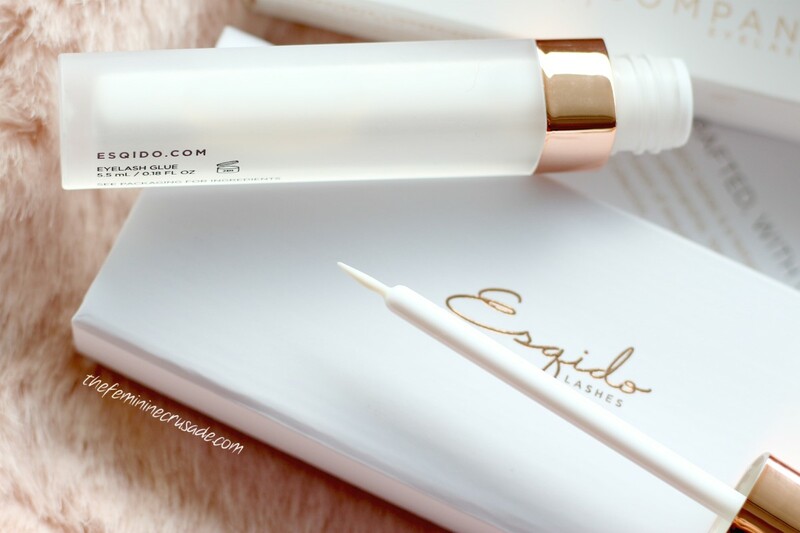 Esqido Companion Eyelash Glue is specially formulated for their mink lashes and is free of formaldehyde and latex making it ideal for even the sensitive eyes. 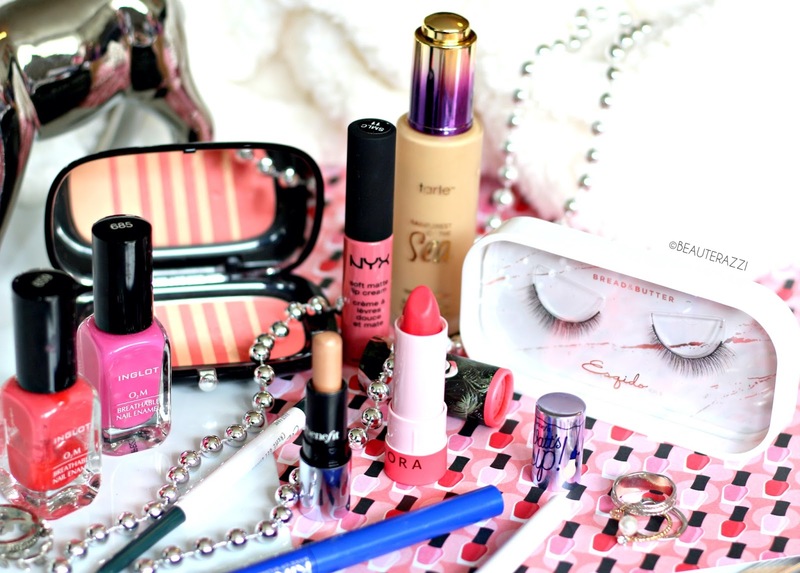 The formula is also gentler, prolonging the life period of the falsies. It has a fine brush tip which makes application so easy. It has no sharp scent, is white in colour but dries absolutely clear. It was a breeze to apply eyelashes with it, they stayed put all day and were also easy to take off at the end. Esqido eyelashes are definitely not very cheap. But considering the amount of meticulous effort that goes into preparing each pair makes them worthy of the price tag. In the spirit of the holiday season, they have a new deal almost every day on their website, so make sure you are subscribed to their newsletter, and can grab the best opportunity when it arrives. And if you are wondering, they ship all over the world! Use code shangj at checkout to get 15% off.